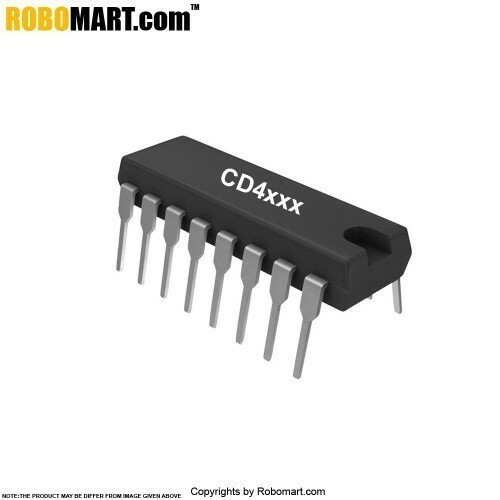 The CD4050UB devices are inverting and non-inverting hex buffers, respectively, and feature logic-level conversion using only one supply voltage (VCC). High Sink Current for Driving 2 TTL Loads. 100% Tested for Quiescent Current at 20V. Maximum Input Current of 1µA at 18V Over Full Package Temperature Range; 100nA at 18V and 25°C. 5V, 10V and 15V Parametric Ratings. CMOS to DTL/TTL Hex Converter. CMOS Current "Sink" or "Source" Driver. CMOS High-To-Low Logic Level Converter. Also Searched as : CD 4050 ic, Astable/Monostable Multivibrator.